I am absolutely delighted to announce that What Allergy? 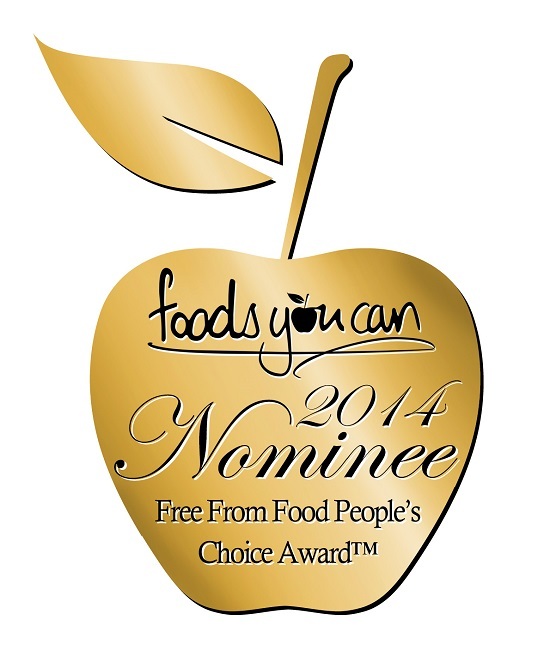 has been accepted as a nominee in the Free From People’s Choice Awards run by Foods You Can. You get one vote each in different categories like best freefrom supermarket, best freefrom brand and most importantly BEST FREE FROM BLOG. Voting opens on Wednesday 1st October and ends on Friday 31st October so don’t forget to place your vote. It’s a chance to reward the companies and brands you love and will be decided by the all of you – not by judges so you have the power people. Can you help What Allergy? to win the Best FreeFrom Blog Award in the FreeFrom Peoples Choice Awards 2014? Each person that votes can** be entered into a free prize draw to win one of three prizes. A free-from food hamper with goodies worth up to £50. Click here to vote for your favourite freefrom companies and MY BLOG! So get voting lovely readers. Sometimes it feels like I am flinging each blog into the wind. Sometimes it’s lonely being a blogger. But I love doing this blog so much – if you enjoy reading it here’s your chance to say thanks. So who are you voting for? Which are you favourite freefrom Brands? Who would you like to win the other awards?